The College of European Commissioners unanimously adopted the exchange of letters covering the Sahara region in the agriculture agreement with Morocco. The decision will be submitted to the vote of the European Parliament after a European Court of Justice decision on the Sahara. Sources from Morocco and the EU said that under the new agreement products from Morocco’s southern provinces, the Sahara, will benefit from the same preferential tariffs applied on products from other Moroccan regions. An EU source said that the future agreement with Morocco is meant to facilitate the access of the Sahara products to the EU in order to boost development in the region. 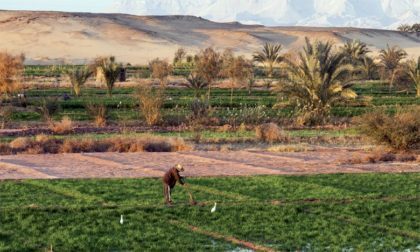 The College of EU Commissioners also adopted a report showing that the local population in the Sahara benefits at the social and economic levels from the agricultural deal with Morocco. The decision of the EU commissioners will further strengthen Morocco’s position in undergoing talks on a new fisheries deal.